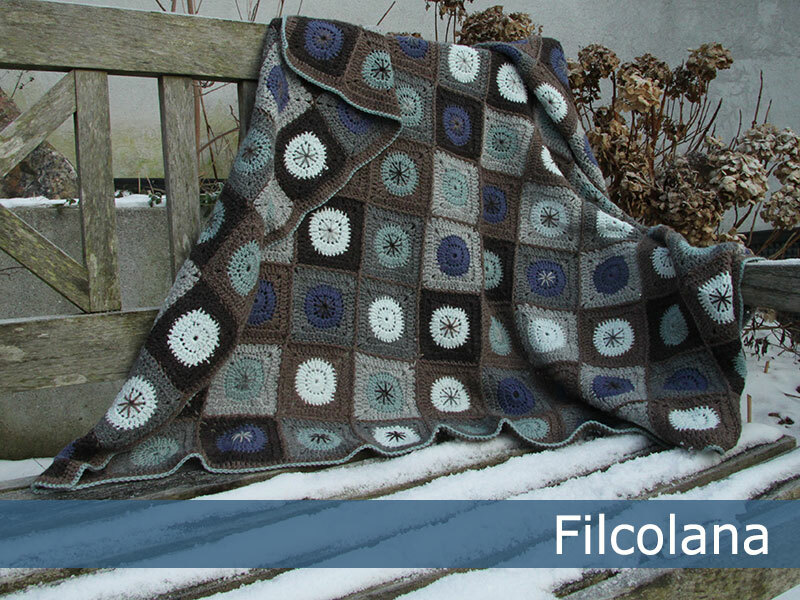 ”Pulsatilla” is a cuddly blanket crocheted in the softest merino wool. 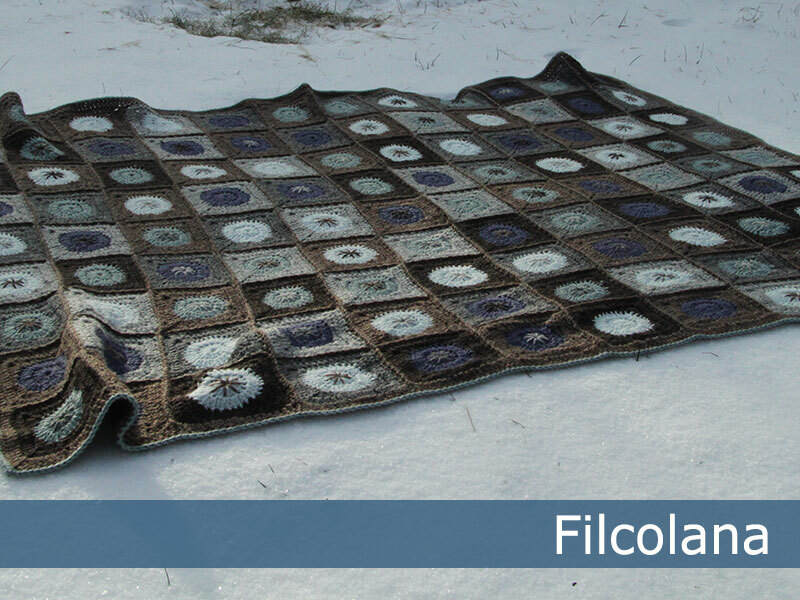 Here the blanket is made in subdued colors, but the color choice is yours. 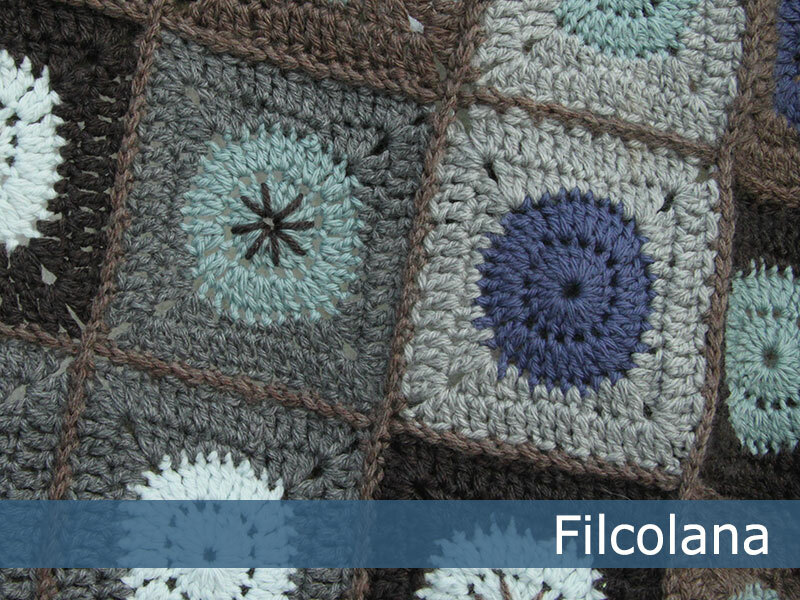 The blanket is made from 108 squares in different combinations of 7 colors. Some of the squares are decorated with an embrodiered star in the middle.